We see it all on inspections. The good, the bad and the totally puzzling. 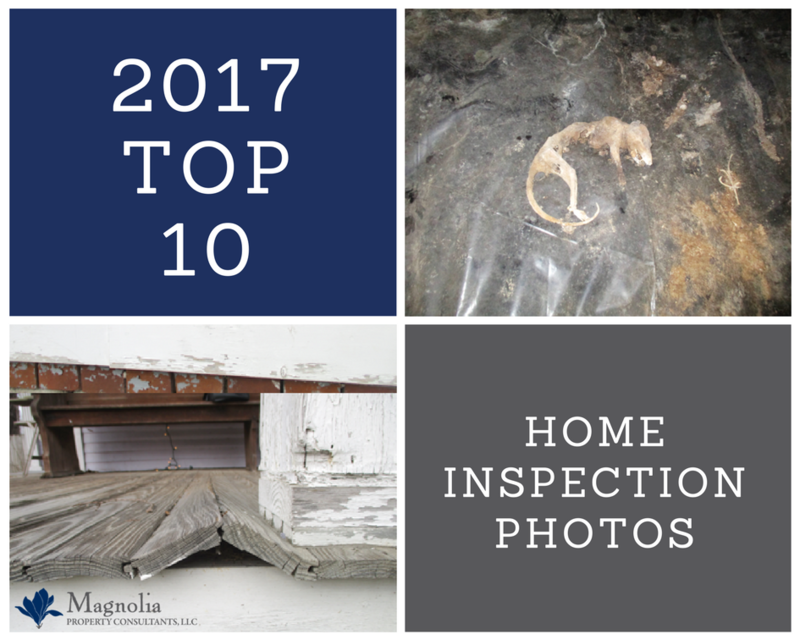 We’re sharing our Top Home 10 Inspection Pictures from 2017… plus a few extras. 10. 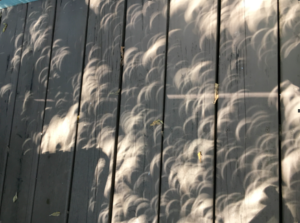 These are pictures of shadows from the eclipse, one of the few odd occurrences during a total eclipse of the sun. 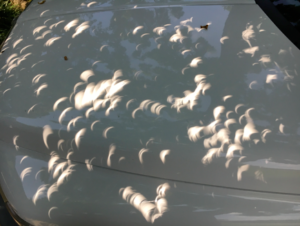 As the remaining sunlight passes through small holes, such as the space between leaves of a tree, an image of the light source is projected over the shadow. 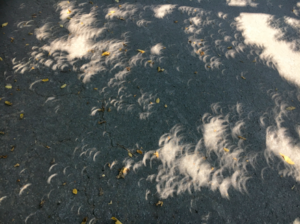 The same effect can be produced by holding a tightly woven basket up toward the eclipse. 9. Bird perch on a new construction roof. 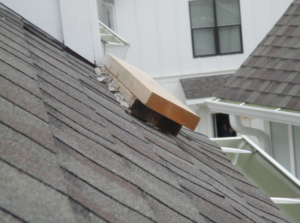 For safety purposes roofers fasten boards directly to a finished roof. 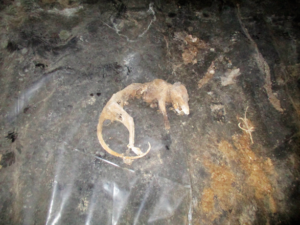 This was discovered on an 11-month Warranty inspection for a client that had used another home inspector when purchasing the home. 8. This is a welcoming Southern porch… even the deckboards are waving hello! 7. Buyer Beware! 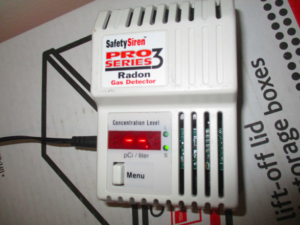 This is a $100 toy that can be purchased on Amazon to read Radon levels. A well-known company in Nashville is using these to provide free Radon tests and then recommending that they perform the mitigation when this toy read HIGH… If you see these toys as a Realtor, know that there is a tremendous amount of risk and liability when an individual poses to be a Radon professional but is operating outside the bounds of the guidelines provided by the EPA and the National Radon Proficiency Program (NRPP). 6. This situation took a while to get sorted out. 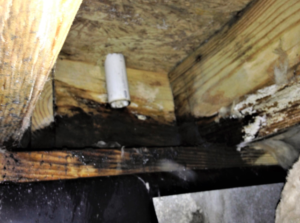 The termite inspector was the first to enter the crawlspace and identified a 1 ½ inch line that was continuously discharge water into the crawlspace. The realtors were then informed that a main water line was potentially flooding the crawlspace. In actuality, the neighbor was tired of water being pumped onto his driveway and shoved the sump pump line back through the hole in the side of the wall into the crawlspace. 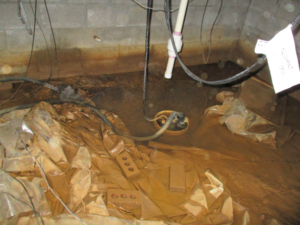 The sump pump was running continuosly spraying water back into the giant pool under the home. 5. 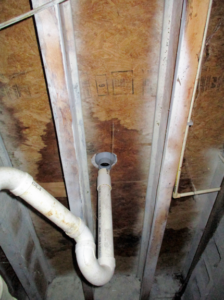 Can’t.. quite… reach it… What is astonishing about this situation is that this was a serious leak causing mold growth in the past. Notice the white paint on all the joists. Someone took the time to treat the mold issue but didn’t have the integrity to fix the root cause of the issue. If you have been told that repairs have been completed to a home… get it inspected!! 4. 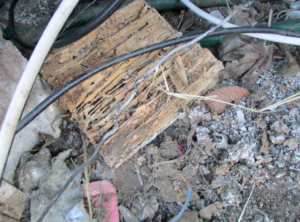 It is not very often that we encounter live termites in a home. Most often termites have built a shelter tube up the foundation wall and then retreated for better opportunites elsewhere. On this particular house, not only was there termites actively eating away at the walls and structure of the home, the highway from the ground into the house was a giant ¾ inch mud tunnel. This is the largest tunnel I have ever seen, active or inactive. The termites made their way through the walls into the roof framing. 3. Talk about abandonment issues…..
2. 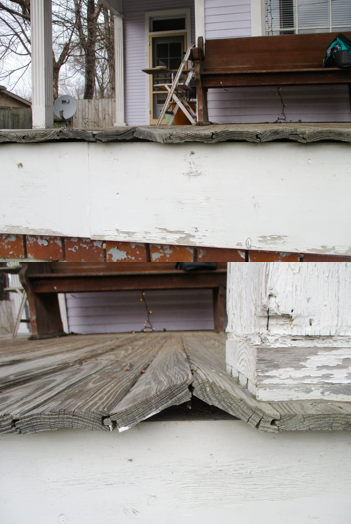 Walking the line… this million dollar home was not free of defects. 1. Funhouse! This was one of three supporting beams that were crushed under the floor system. The floor bounced like a trampoline. Issues like this are not difficult to fix. 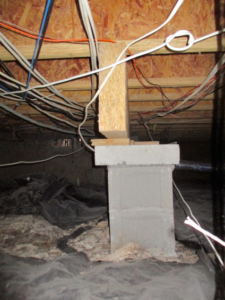 The problem is finding a contractor that is willing to leave a profitable job to crawl into a crawlspace that is no higher than 18 inches to perform load-bearing structural repairs. And here are a few more fun ones we couldn’t leave out.. BONUS 1. 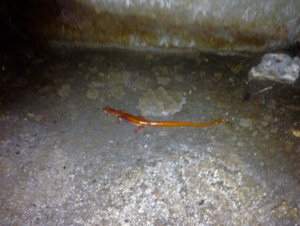 Sally the salamander. Note, if you see one of these guys in your crawlspace you have a moisture issue! This particular house was half way down a large hill with water being channeled by the street and grading features, directly toward the foundation of the home. 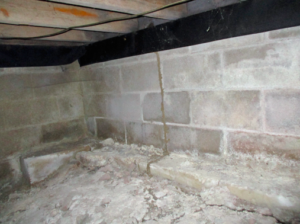 There was such a large amount of water passing through the foundation and into the crawlspace of this home that the piers were noted as possibly being compromised from erosion. Sally here was very healthy (see her fat belly) – moisture attracts insects in addition to other negative impacts. BONUS 3. These termites, and the ‘developer’, do not deserve a clean plate award. An important aspect of performing a good home inspection is being aware of your surroundings – gathering information from clues about the potential condition of the home from evidence that is not necessarily in or on the home itself. 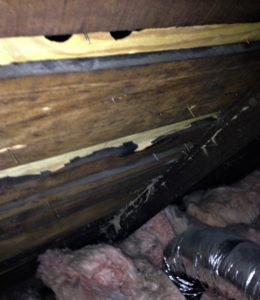 In this case old floor framing was removed and hidden under the vapor barrier. 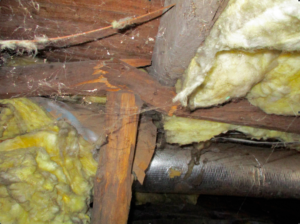 Less experienced home inspectors may see a large section of structural floor framing with new lumber , take a picture of it with a thumbs up for the report. We treat this condition, however, as a red flag (an obvious condition of a flipped house) requiring a slower process with more attention to detail on what may be covered up. Working in a tight crawlspace is not a fun work environment. This is a location in which even important repairs integral to the long-term structural integrity of the home can often being rushed. Don’t miss out on spotting these nightmares before making an offer on a home. Trust Magnolia with your home inspection.